Comments: Michelle Williams was such a great Marilyn! 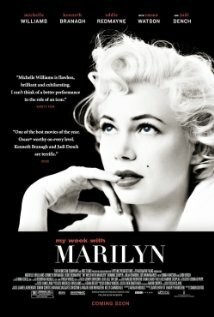 I have always been a big fan of Marilyn Monroe and so I needed to watch this movie. Watching it really put her in a different light for me. I’ve always adored her in movies and pictures, I knew she was troubled but I never really focused on that. This movie showed a different side, a more human side….and ultimately what lead to her downfall. Either way, great movie and great portrayal of that late Miss Monroe.